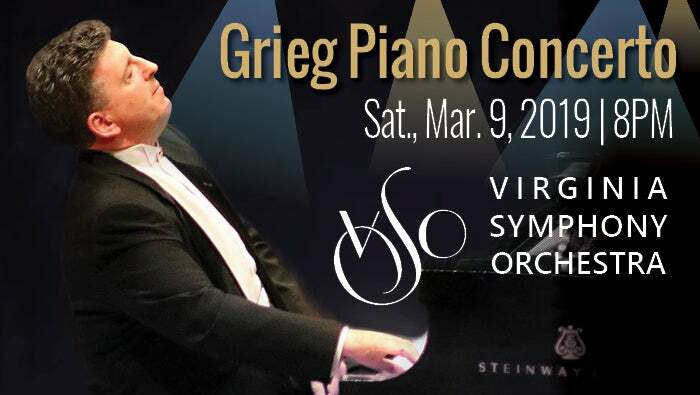 Jeffrey Biegel returns to the VSO for one of the most-loved concertos of all time, Grieg’s Piano Concerto. This concerto is among Grieg’s earliest important works and the only concerto the composer completed. Written in just a month in the summer of 1944, Prokofiev’s Symphony No. 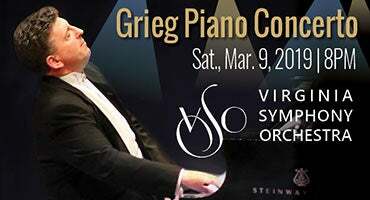 5 was intended to be “a hymn to free and happy Man, to his mighty powers, his pure and noble spirit.” This triumphant and electrifying composition has remained one of his most popular works.